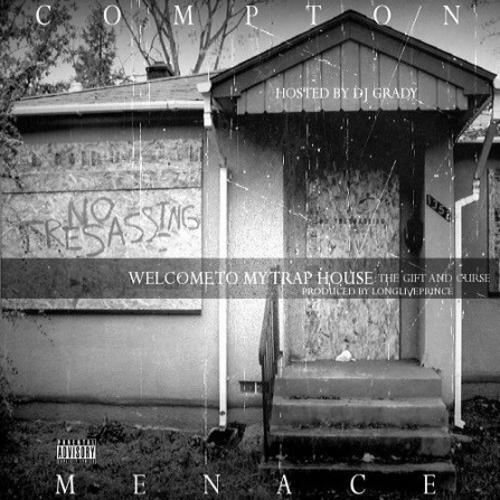 Subtitled "The Gift And Curse," Compton Menace's new mixtape, Welcome To My Traphouse Vol. 1, finds the MC showing us both the good and bad sides of his lifestyle across 17 diverse tracks. The tape includes guest spots from Chris Brown, Trae Tha Truth, Stacee Adamz, Hell Rell, Roscoe DPG, Rich Rocka, Slim The Mobster, N8 Jetson, Gudda Gudda, Lil Wayne, Gutta Dub, Block 125 and J Rich. Production is mostly handled by Long Live Prince, but The iKonz and Blu The Producer both also show up for a track or two. If you like what you hear, be sure to follow Compton Menace on Twitter.